If you only had $50 to invest in your business, what would you do? Here’s what I suggest . . .
It’s all about asset development and acquisition, my friend. Let’s let Ebenezer Scrooge be our inspiration for a moment. If you’ve seen the movie then you probably recall the scene where in the mid of winter he has one little lump of coal burning in his fireplace to warm his enormous home. 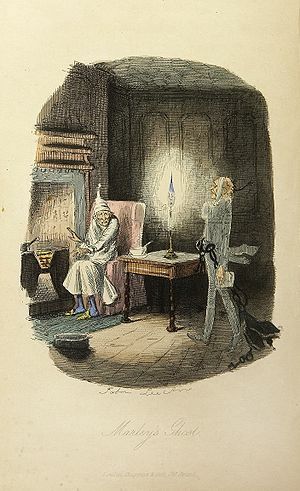 His guest asks him why such a wealthy man only burns such a little lump of coal, to which Scrooge says that when that coal is burned, it’s gone. It’s much better to spend the money on warm clothes. Although Ebenezer has gone too far in his miserliness, the clothes are an enduring asset. The lump of coal, is not. If you spend your $50 on anything that is not an enduring asset you’ll have nothing to grow on. Your $50 will be gone. To be clear an asset is something that has the potential to put money in your pocket – it can help you to generate income. Is spending money on traffic an asset? Is registering a domain name an asset? Is buying a whiz bang script an asset? Each of the above might eventually result in developing an asset but when your resources are limited you need to get maximum value for them. You need a leverage point to help you start growing. Think assets – not “wishful thinking assets” – but assets you can turn around and leverage into more cash ASAP.